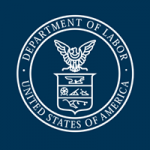 The Department of Labor (DOL) today announced a proposed rule to clarify and update the regulations governing regular rate requirements for the first time in more than 50 years. Under current rules, employers are discouraged from offering more perks to their employees as it may be unclear whether those perks must be included in the calculation of an employees’ regular rate of pay. The proposed rule focuses primarily on clarifying whether certain kinds of perks, benefits, or other miscellaneous items must be included in the regular rate. Because these regulations have not been updated in decades, the proposal would better define the regular rate for today’s workplace practices, according to the proposal’s announcement. More information about the proposed rule is available at www.dol.gov/whd/overtime/regularrate2019.htm. The department encourages interested members of the public to submit comments about the proposed rule electronically at www.regulations.gov, in the rulemaking docket RIN 1235-AA24. Comments must be submitted by 11:59 pm on May 28, 2019, in order to be considered.